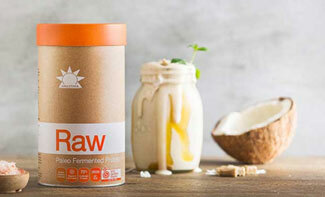 Amazonia Raw Paleo Protein delivers quality nutrition in a comprehensive paleo-friendly blend. Gone are the days when plant-based protein powders were seen as a less nourishing relative of whey protein. Over the past 5 years, scientists have been uncovered some fascinating truths about just how powerful plant-based nutrition really is. We now have studies confirming the ability of pea protein to promote a beneficial and adaptive response to exercise as effectively as whey protein1. In this case they measure muscle thickness in resistance trained individuals. This indicates an excellent bioavailability of pea protein, and a great balance of essential amino acids. This Raw Protein was designed to fit in with those who have adopted a paleo lifestyle, loaded with fresh, unprocessed foods. Functional nutrition has been utilised to formulate this Amazonia Raw Protein Powder. This nutrient dense, wholesome blend combines a sprouted base with fermented seeds, greens and superfoods to create a protein powder to suit the Paleo lifestyle. Amazonia RAW Paleo Protein is 75% sprouted which enhances it's bioavailabliity and is much gentler on the digestive tract. 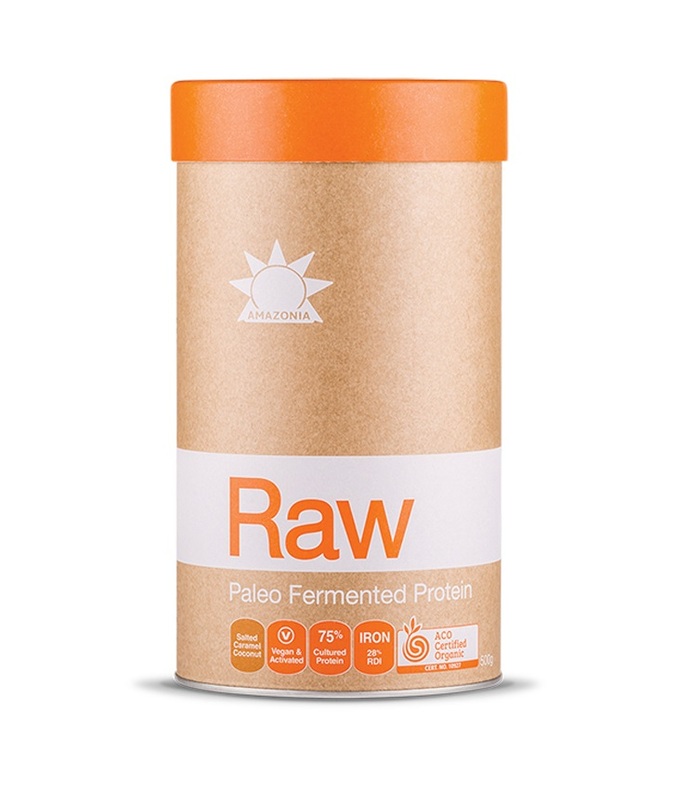 Amazonia Raw Paleo Protein provides a good amount of protein per serving at 22g and is low carbohydrate with only 2.2g and even lower in sugars at 0.3g per serve. It what is doesn't contain though that gets most peoples attention. Raw Fermented Paleo Protein is grain free, gluten free, wheat free, dairy free, preservative free, additive free and GMO free ... oh yeah, and it's also organic and vegan friendly! This is the perfect raw protein powder for women, and men too! Adult Serve: Blend 3 rounded tablespoons (30g), or higher dose as required, into 200ml of water, non-dairy milk or coconut water. Consume post-workout or between meals as appropriate to meet your protein goals. Is RAW Protein Powder Gluten Free? 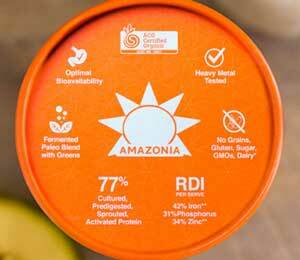 Amazonia Raw Paleo Fermented Protein is certified Gluten Free. However, generally speaking, "RAW" refers to the processing and manufacturing methods used and has nothing to do with whether or not a product contains gluten. Amazonia Raw Paleo Protein offers a great product that utilises principles of fermentatiion that have been around since the paleolithic age. The sprouted and fermentation process makes this a great vegan, dairy free option for anyone with digestive issues as it is gentler on the digestive system and also increases the bioavailability of the protein. More of a debate than a con is the quinoa, millet senario...is it a grain or technically a seed? Mmm not a debate for us though. This is a great formulation so whether if fits into your paleo lifestyle is up to you. Whether you follow the paleo diet or not, this Raw Protein Powder fits a niche that was lacking in the supplement industry. If you want a clean, raw, protein powder that dairy free and easy on the digestive tract this would be a great option. This is a great organic, vegan, paleo product for supporting lean muscle growth and recovery or just getting more protein into your diet. We give it a 4.6/5.